I’m so happy to add this picture of the new hydrangea shrub. It’s growing like mad and has buds all over it! One of the great things about hydrangea plants is that they are hardy and fill out quickly. If you look back at my other posts you will see just how quickly this one grew. Last year it consisted of two stalks of leaves with no flowers, and although it didn’t look like it was doing much, I’ll bet that underground the root system was expanding and strengthening to support the wealth of growth for the following year – which is now! That is why you will sometimes hear to not let certain plants bloom the first year. Blooming takes a lot of energy which takes away from the plants ability to become strong. And a good, sturdy plant is needed to produce great flowers. Hydrangeas seem to be “smart enough” to do this on their own. At least that is how it seems to me. Hello! 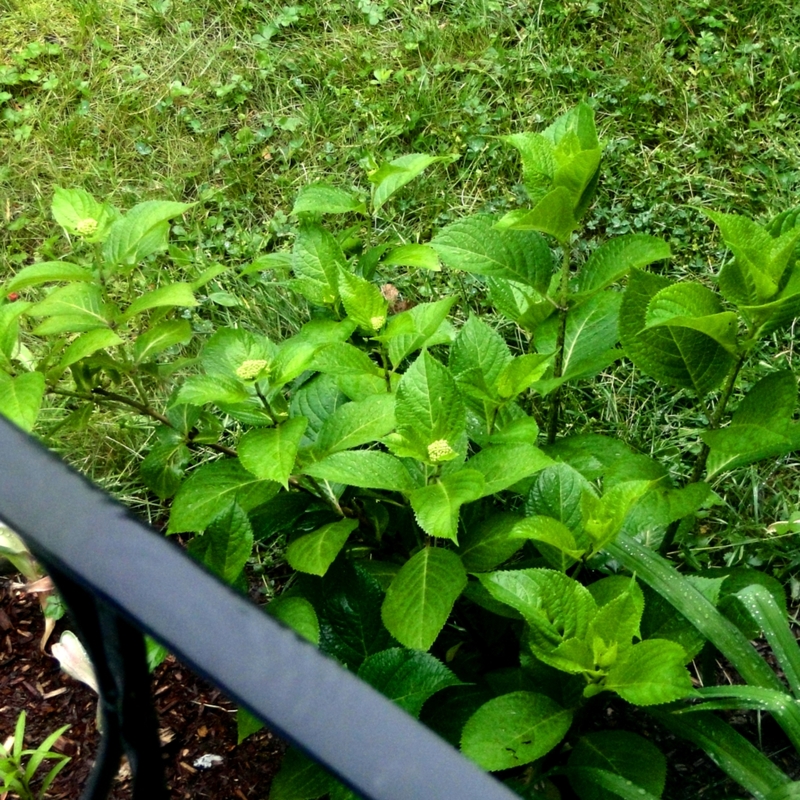 I planted Endless Summer hydrangeas last summer with 1 or 2 flowers in it already. No blooms for the rest of thr summer though. Now I am seeing a lot of flower buds. Are they the ones blooming this coming summer? I am so excited but yet so anxious aboit it because I know some people say their hydrangeas do not bloom. Hi Maria, If you are seeing buds then yes, they will be blooming this summer. I don’t know where you live, but in New Hampshire most of my blooms were pretty big by July. Just watch them as they turn color going into the fall, and enjoy! The flowers will last a long time. When hydrangeas don’t bloom, I think it’s mostly from lack of sun. If yours is in a location where it gets at least come sunshine, it should flower. In the heat of a summer day it may wilt, especially because it’s a newer plant. But it will come right back. Don’t forget to water also. Please come back here and let us know about your flowers!